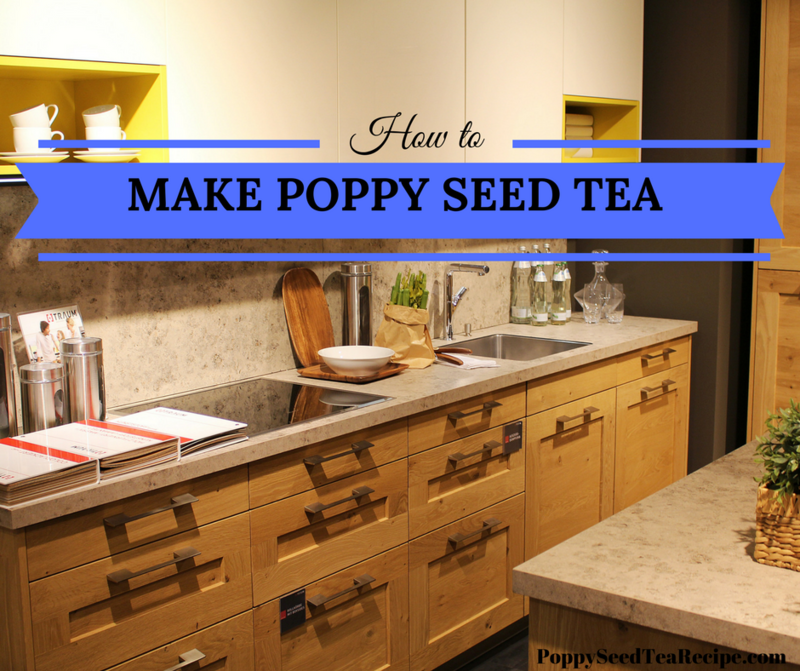 Several years ago, I searched the internet for a simple guide describing How to Make Poppy Seed Tea. I found a majority of “guides” explaining how to make poppy seed tea were first hand accounts quickly posted to blogs that included incomplete, inaccurate, and just flat out bad information. I knew that the time was right to inform the poppy seed tea community. I decided to take the time to make my own guide explaining How to Make Poppy Seed Tea. It is extremely important to note that this post explains how to make California Poppy Seed Tea. This form of poppy seed tea does not contain opiate alkaloids like the form of tea made with opium poppy seeds. Making Poppy Seed Tea correctly is not a difficult process for most people. Here is my step-by-step detailed guide on how Poppy Seed Tea is made, and I have included a video at the end! If you are experienced with herbal tea, this detailed guide may be a waste of your time. Readers that have made tea before, should check out my Simple Poppy Seed Tea Recipe. This post is for informational purposes only, and you should consult with your doctor or healthcare professional prior to consuming any parts of the poppy plant. California poppy plants don’t contain opiate alkaloids, and are generally considered to be safe to consume. I recommend speaking with your doctor to make sure that it does not interfere with any medications that you are currently taking. The other form of poppy seed tea made with the opium poppy is much more dangerous and can lead to possible addiction. The first three steps are for preparation. This includes making sure that you obtain all of the ingredients and items necessary and get them ready to start making your poppy seed tea. For California Poppy Tea: The first step (and the most important) is to procure quality ingredients. For California Poppy Seed Tea, this means obtaining the either the leaves, flower, and/or seeds. You can either purchase these ingredients, or harvest plants out in the wild. For Other Forms of Poppy Seed Tea: One pound of seeds is plenty for the first few batches of seeds. Many people discover that buying a larger amount helps to get a better price. This is especially true for individuals that plan on consuming multiple times or sharing with friends. It is extremely important to choose the best brand of poppy seeds, or the tea will not have the desired effects. Some brands work much better than others. I keep an updated list of my favorite poppy seeds that I update on a weekly basis. I highly suggest visiting my Best Poppy Seed List. All of the top seeds I list are available on Amazon, so they should generally be delivered within 1-2 days. Members located in a larger cities may be able to get same day delivery. I also decided to include a link for one of the great brands supplying the best poppy seeds below. 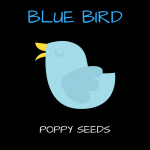 The Blue Bird Poppy Seeds are amazing, and here is the link for the 1 lb bag. If you attempt to purchase the seeds locally, the key is still to purchase the correct seeds. It is usually easiest to check the natural or health food stores first. Many of the national stores have already stopped selling bulk poppy seeds because they have lost money from people stealing the product. You may also run into another common problem. Local stores may carry the seeds, but they don’t have the item in stock. Chances are that you won’t be the only person in your town/city looking for bulk poppy seeds. The stores also may carry seeds that are not very good, and you can end up wasting your money. You could spend hours looking, which is why I suggest purchasing online. 1.) 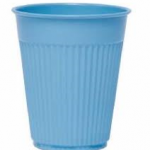 Plastic Funnel – A plastic funnel is necessary to help pour the seeds and minimize spillage. If you don’t have a plastic funnel, you can make one out of paper. You can try to pour the seeds without a funnel if you are too lazy to make one out of paper, but you will probably end up making a big mess. 2. 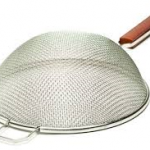 )Strainer or Colander – If you use a Gatorade bottle, this is not necessary. Other containers may require a strainer to separate the liquid from the poppy seeds. You may also be able to use a cheese cloth, but it is not ideal. 3.) Drinking Glass or Cup – The drinking glass or cup will be used to hold the tea and can also be used to drink out of. It can be a standard size. 1.) 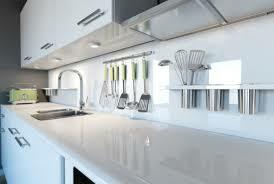 Lemon Juice – A small bottle of lemon juice will be plenty for your first few preparations. I suggest purchasing a bottle of lemon juice rather than squeezing actual lemons. 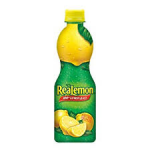 It is much easier to squeeze the lemon juice directly into the bottle than it is to prepare the lemon juice from actual lemons. Lemon juice is cheap! If you prefer method of squeezing the actual lemons, 1-2 lemons will be plenty. 2.) 32 oz (~1 liter) Gatorade Bottle – You can use any plastic bottle you desire, but it must be at least 1 quart (32 ounces) which is equivalent to 1 liter for our metric friends. I highly suggest the use of a Gatorade bottle, especially for your first time. This bottle is great for three reasons: It is the perfect size, it has a wide top, and the screw on cap is ideal for straining out the seeds. You can also use one gallon water jugs, two liter plastic soda bottles, or any other plastic container. Keep in mind, the wider the opening, the easier it will be to pour the seeds in. 3.) 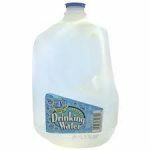 Water, One Gallon (2 Liters) – You can used bottled or tap water. It is totally up to personal preference and it doesn’t make a big difference either way. 4.) A Flavor Enhancer (Optional) – The flavor enhancer is an optional juice or other flavoring agent which can be used to help the bitter taste of the tea. Some people add honey, orange juice, or MiO flavor enhancers. You can use anything you would like to help. The next steps will describe how to make a small test batch of California Poppy Seed Tea. This test batch is necessary to familiarize yourself with the process and make sure that the tea is the correct flavor and strength. If you would like to make an alternate form of tea, substitute your desired seeds instead. You should avoid using certain brands of unwashed poppy seeds that may contain opiate alkaloids. Start by pouring one cup of poppy seeds (or substitute another amount) into a plastic container using the plastic or paper funnel. 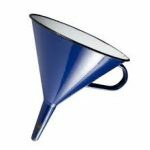 An actual plastic funnel or paper funnel can be used. Pour slowly and pay attention the entire time. Add 1.5 cups of cool water (not freezing cold, just a little cooler than room temperature). The reason I use cool water, is that it helps prevent the tea from fermenting or going bad. This is even more important when dealing with larger quantities of seeds. Using warm water will make the tea go bad and taste terrible very quickly. It is a common misconception that you have to use hot water. This is probably because it is called “poppy tea” so people assume hot water is necessary. Add one teaspoon of lemon juice. The acid of the lemon juice helps extract the valuable compounds from the seeds and transfer it to the water. The lemon juice can also help with flavor. Make sure the lid to the container is screwed on tight, then shake the bottle vigorously for 5 minutes. It is fine to take rest breaks as necessary. This agitation helps remove the natural compounds from the poppy seeds and transfer them to the water. The mixture is now close to being completed California Poppy Seed Tea. Place the container on a table and let it rest. Wait for the sediment to sink to the bottom, then inspect the color of the liquid. The liquid should be dark yellow to brown. As a general guide, the darker the liquid, the stronger the resulting tea will be. If you are using the Gatorade bottle that I suggested, then you can slowly loosen the cap a 1/4 turn (90 degrees). Flip the bottle upside down and rest the top in a cup. Slowly squeeze the bottle until all of the liquid is in the cup. Be careful not to over loosen the cap or it will make a huge mess! If you are using another container, you can use an actual strainer or cheese cloth to strain out the poppy seeds. The tea should be complete, so now it is available to be consumed. Individuals that consume the California poppy seed tea should be extremely careful and wait to feel the effects of the tea. I wait at least 45 minutes, then decide if I would like more. People that would like to make more can start at Step #4. The amount of seeds can be increased, but it is important to remember to increase the other ingredients accordingly. Now that I’ve described how to make poppy seed tea with the California poppy plant, it is time to use caution. California poppy tea is considered relatively safe, but it may interact with certain prescription medications. Other forms of Poppy Seed Tea can be habit forming and addictive, and the opium poppy plant is especially dangerous when consumed in large amounts. It can also be dangerous due to the varying strength of the active ingredients in the seeds. Make sure that you know exactly which seeds or plants that you are using. You can also help support this community without spending an extra penny. If you’re planning on buying something (literally anything) on Amazon, click one of the Amazon links contained on this page before making your purchase. This website will make a small percentage of your total purchase price for any items purchased within 24 hours of clicking the link. You can purchase anything on Amazon, it doesn’t have to be something advertised on this website. I sincerely appreciate your support, it helps me dedicate a sufficient amount of my time to enhance this free resource! Do you disagree with any of the steps listed above regarding How to Make Poppy Seed Tea? Feel free to leave comments below! How to Make Poppy Seed Tea -Free detailed instructions explaining best method of how to make poppy seed tea. Includes step-by-step guide. Thanks for this guide, I love the video since I am a visual learner. I’m looking forward to trying my first batch this week, fingers crossed! No problem, let me know if you have any questions or need help with anything. Good luck, mon ami (my friend). Will do, thanks Brandon. Is there a place for me to contribute to this site? By commenting on this post you are already contributing, but if you want to contribute financially, just click on one of the Amazon ads on this site next time you are going to purchase something on Amazon. This site gets a small percentage of your total purchase price if you purchase something on Amazon within 24 hours of clicking an ad, no matter what you purchase. It costs you nothing; just purchase anything you were planning on purchasing from Amazon. I appreciate you asking. Wow, great detail! You helped make the tea “brewing” process much easier, especially with the YouTube tutorial. You’re welcome Cindy, thanks for the kind words! Is it possible to make a large batch and store t too drink later in The week(s)? I know that if you keep it refrigerated, it will last at least a few days. I haven’t tried it for longer than that. I’ve found that if you keep the tea in the fridge for more than a day it gets rancid. Remember, unwashed poppy seeds are raw. They aren’t cooked or processed. So they, and the tea can spoil if you don’t use it right away. I’ve been using this tea for years for chronic pain. So I suggest you only make what you are going to drink. Happy tea making! How long is best to let the seeds soak for greatest effects? I noticed if I let it set over 30 minutes or so the seeds start to soak up the water and bloat a lil. Is this good or am I loosing needed compounds like this? This is why I think that people should purchase my guide, it has detailed instructions to help answer questions like this. It easily pays for itself by helping people make the best tea possible and avoid mistakes. You want to avoid having the seeds soak up the water. They actually are soaking up the water and the desired compounds at the same time. This is why you should use cold water and only wash the seeds for 20 minutes or less. You can complete two washed in under 20 minutes. For those of you that can’t afford the guide, contact me and we can work something out. Like I stated above, it is well worth the money! I’ve been making tea for almost 2 years now and I’ve found shaking them is the important part. On the first rinse let them sit for a min or two at best, just to soften up the latex on the seed. See, that’s what you’re trying to obtain, not anything inside the seeds, it’s the latex ON the seeds that’s the moneymaker! Have just enough water so that every seed can bang against the inside of the bottle freely. Use cold water on the first rinse. Shake it like a polaroid picture for about 5 min at least, then strain. I’ve experimented a lot and have found the tea isn’t any stronger if you soak or shake longer. Now rinse again, only use hot tap water. No need to let them soak at all this time as they’re already soaked. Again, you’re just getting the latex on the outer seed. The more they soak they actually obsorb that latex and it makes the rinse weaker. Shake constantly for about the same amount of time as the first rinse, then drain. Depending on the quality of your seeds you may be able to get a third rinse. If the wash color is still brownish or yellowish and if it’s still a little bitter go ahead and do a third rinse, heck, you’ve hit nothing to lose. Same method, only try to get the water as hot as possible from the tap. Even though it’s “hot” water, the temp is no where near hot enough to damage the opium. I drink the first rinse, save the second for later in the day or the next day (depending on strength and personal tolerance) and pour the third into a separate jug containing all third rinses from past batches. This is used as an emergency or back-up for those times where seeds are difficult to find, money is low or the shipper screwed up and they’re late a day or so. It’s not strong but if definitely keeps you from feeling sick, if you’re to that point. As far as lemon goes, I find it to have little more than a placebo effect, but if you use it, add it to the seeds, not to the rinse itself. The quinine and citimide are legitimate potentiators, but they have to be consumed an hour before hand and on an empty stomach. They will not work if you take them at the same time you drink your tea. There you have it! I hope this doesn’t upset you, Brandon. I respect you and the info on your site. Keep it up! Here’s hoping prices don’t stay where they are. Happy tea making! Thank you so much for taking the time to write this comment. It will be invaluable to readers, and it is full of great info. You are a great example of the terrific members that are part of this site. Thanks again and have a great day! I recently purchased a 5lb bag of Sincerely Nuts poppy seeds advertised as originating from England. I want to buy another but the only Sincerely Nuts seeds I can find available currently are advertised as coming from Spain. Is there a significant difference in quality between the two? I’m hesitant to buy because other brands labeled as “Spanish” haven’t worked for me. I’m curious about you reviewing the new batch of Tasmanian seeds from The Nodding Turtle. I haven’t purchased from them because the last batch of European Reserve was so bad. Plus they are hella expensive! I don’t want to end up with over 100 dollars of worthless seed. Are you planning on going back to them at any point? I’m staying away from TNT due to all of the huge negatives they have displayed. Thanks for the good info. I’ve been using blue bird and I’ve had good luck with the brand. Yeah the stuff absolutely isn’t yummy, but I find that if I just shoot it down it only stings a little haha. Or if my tummy isn’t having it I use flavor drops. Thanks! What about adding hot water for a rinse? Would be a good idea for the first rinse, or maybe second? I prefer cold because I feel like hot water alters the taste quickly. It almost tastes “fermented.” I do know some people who enjoy using hot water. It’s a matter of personal preference.